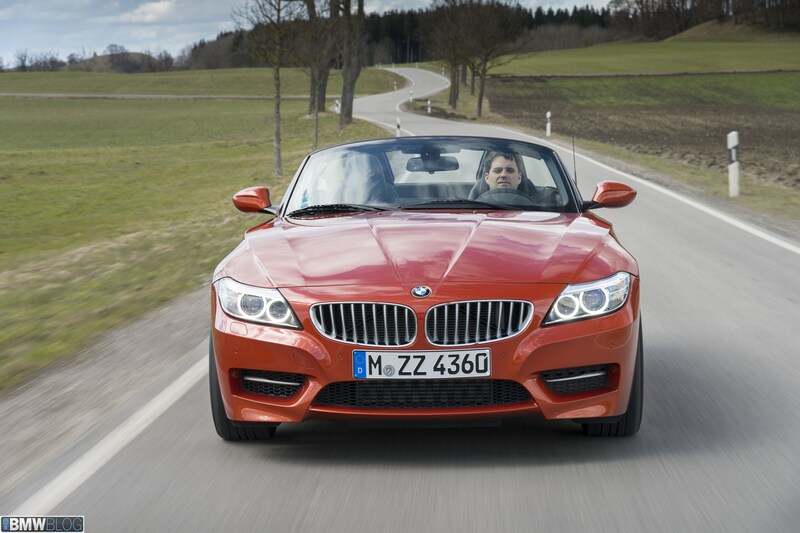 Autocar UK reviews the facelifted 2014 BMW Z4 sDrive35is. The top of the line Z4 Roadster model was made available to journalists from around the world for a quick drive around Munich. The very mild styling updates include new headlights that now feature LED rings in a new stunning 3 dimensional design topped off with LED accent lights. New side gills enhance the already flowing style of the side of the car . For the first time, the BMW Z4 is offered in the striking and once upon a time exclusive Valencia Orange color. 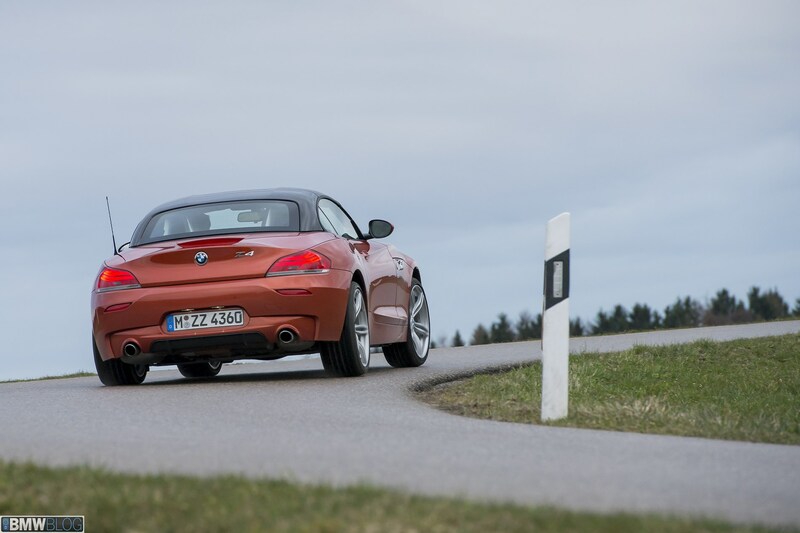 The Z4 sDrive35is retains the N54 producing a prodigious 335hp and 332 lb-ft of torque mated to a 7 speed DCT. 0-60 is just a mere 4.8 seconds away. The turbocharged 3.0-litre in-line six-cylinder petrol engine tested here in the Z4 sDrive35is is hardly new, but it remains the most compelling of the five engines with which it is produced with loads of low end torque and an eagerness to rev when the conditions allow. It sounds terrific, too: there’s a pleasing mechanical growl under load and a booming exhaust on the overrun. The longitudinally mounted engine delivers a 335bhp – 20bhp more than the naturally aspirated 3.4-litre flat six petrol unit used in the Porsche Boxster S. In combination with a standard seven-speed dual clutch gearbox, it provides the BMW roadster with class leading straight line performance: the Z4 sDrive35is’s official 0-62mph time beats the Boxster S by 0.3sec at just 4.8sec. To drive, the new Z4 sDrive35is is pretty much the same as its predecessor; it is a fun car in the right conditions with a rear-wheel-drive chassis that possesses a good deal of adjustability, so you can rely on the efforts of the engine to kick the tail out when the DSC (dynamic stability control) is switched off. There remains some sign of scuttle shake on badly pockmarked roads, but for the most part the new BMW rides well. The weak point remains the steering, a speed-sensitive electro-mechancial system. While nicely weighted, it lacks consistency, proving extra direct turning off centre and becoming less direct as lock is applied.